Cruisin’ the beach, burning one down, this East Coast style IPA has a fruity, balanced malt presence and five hop varieties. It is perfect for an evening on the porch with friends or even the hottest beach day. 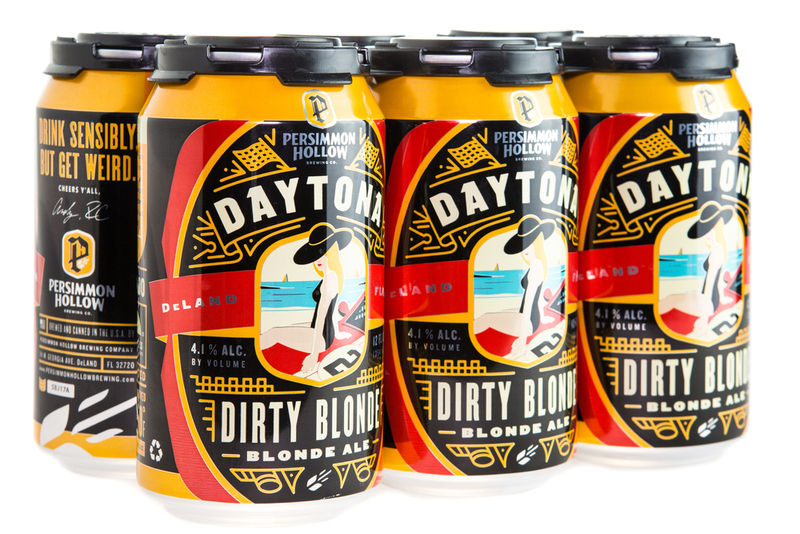 From the “World’s Most Famous Beach” comes this easy drinking yet flavorful blonde ale. When the sun, sand, and water call, this beer is the answer. Pair it with fresh fish, or just drink it while you fish! When most people think about vacation, they think Florida, the “Sunshine State”. We crafted this beer to embody that idea. Our wheat ale is crisp, refreshing, and has a hint of Florida citrus. It is vacation in a glass. This red ale has a floral, citrusy hop aroma with a slight roast finish. It’s hop-forward flavor is balanced by 5 varieties of malted barley. Pair this beer with Southern cuisine, or with a rocking chair and the night sky. Fitz, as we call it, is named for our favorite Irishman. Not too sweet, not too dry, perfect for lovers of chocolate and coffee. Belgian ale yeast provides a little something extra. Let it warm up a little, you’ll thank us later. Only brewed fours days a year, Drunken Monk is our most special and limited offering. Flavors of raisin and dark fruit combine with cinnamon and vanilla to create complex, delicious flavor and aroma. Drunken Monk is easy drinking, so practice the virtue of self-control and enjoy the spiritual experience.